In order to answer the question of what the very first line of defense is, I must first explain some details, leading up to the conclusion. So, please bear with me and also consider that some readers may require a little additional insight while others are familiar with certain aspects of this topic. 2. The educated answer of a Wing Tsun Kung Fu student is more complex and states that one first of all must try to avoid the situation altogether. If you couldn’t avoid it, try to get away, even run away, and make also all attempts of using verbal skills to talk your way out of a potentially harmful situation. Only if you couldn’t avoid the situation, couldn’t run away, couldn’t talk your way out of it, now it is time for action. If all that has failed and an actual physical attack is imminent, even if the launch of this attack is hardly visible to the untrained eye, then the skilled Wing Tsun practitioner attacks, in many cases very aggressively, the attacker. The solution to defending yourself successfully is aggressive and continuous forward attack in order to combat a violent thug. The objective is not to allow the attacker to even finish the first attack, not to leave any space or even time for a second attack, but rather to force the attacker into a helpless situation. 3. For the bona fide answer to our question “When does Self-Defense start?” we have to explain the term self-defense in more detail. So, stay with me while we look at the subject of Self-Defense from a few different angles: the law, the potential victim, realism versus perception, the training. How does the law view Self-Defense? Please read up on our 3-part mini series “Canadian Law and Self-Defence” by Gary Hughes. 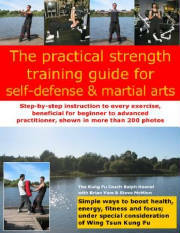 The explanations about the law and self defence can also show us, that the atrocious and unfair scenario of realistic Self-Defense has very little in common with what is typically practiced in many martial arts schools, which leads us to the next point as to why some students, while looking for self-defense, choose to train other martial arts, realism versus perception. Practitioners feel good due to of successful 2-person exercises in other styles. Problem: If the exercise is exactly choreographed, it has to work, but what about Reality? Other styles train many, if not dozens of katas (forms performed against imaginary opponents). Students enjoy martial arts training, where techniques “work”. Problem: It is often difficult to admit that a sport-oriented martial art cannot deal as efficient with a scenario without rules. Then there is also the comfort of a previously acquired skill, whether or not it will be beneficial in a real life situation. Going to other martial arts, where the system of rules and regulations protects and promotes the theory that a “collection” of techniques equals self-defense skills. Going to other schools, because self-defense techniques work there, without any physical contact. Problem: Yes, I’ve even heard this one: … “In the new school I finally learn something, since we are not allowed to make contact. The techniques are too dangerous.” … does this make any sense or need further comment? Problem: Just imagine, no physical contact, no communication, what can go wrong? Training Wing Tsun Kung Fu. - Are we really better? Is Wing Tsun truly the best? Well, let us start with the statement: We are DIFFERENT! As our slogan says, we are committed to deliver Complete Self-Defense for Real People! No sport, no trophies, no competitions, well other than with ourselves to continuously strive for improvement and growth. I, personally, dislike the assumption of being better. Have you ever seen a famous boxer who did not at one point in time or another get knocked out? Martial arts practitioners, masters, are also just people who can have a bad day. But on the other hand, professional teaching and learning methods plus a self-defense system that focuses 100% on self defense, gives you the edge you need to face reality. Concluding this 3-part series is another set of comments, which I received after publishing the article (read part 1) for the first time. It is important to communicate with training partners, not just about the current exercises, but also about perceived success or failure, about conception or misconception of how a exercise “feels”. Finding out that even the strongest, tallest, most experienced member in class is being ‘challenged’ in each and every private lesson to give everything he/she can give, often to the point of exhaustion, gives you the idea, that you are not alone. We want to achieve the ability to withstand attacks, deal with physical confrontation, even if the shoulders are burning, the arms are shaking, and the legs almost give. Many of you have quickly realized that what you thought is your boundary, until here and no further, is actually just a line you learn to cross and achieve better results you ever imagined you could. There is no “quick fix”, there is no instant gratification. You learn real skills that last. The journey itself teaches you your true potential. It feels wonderful to get past your estimate of your potential. We want to achieve the ability to function under an enormous amount of stress, cascading attacks that appear to leave you vulnerable, incapable of coping with a wild out of control attacker. Interesting enough, when you feel the most frustrated, as if “it” will never happen, you begin to function; you do not try to oppose the stress anymore. Remember the strength principles? Get rid of your own tensions; learn to use the strength of the attacker, just to name two out of four. I agree with the points made in your article. I do feel a bit better, confident about myself ever since I have started taken the Wing Tsun classes. I think that one of the major reasons for my "feeling better" attitude is that I think my own personal fitness has improved because of the training. The main motivation for me to sign up for the Wing Tsun Kung Fu class in the first place, is to improve my personal fitness. I did not exercise regularly before I joined your class. Months before I joined your class, I thought long and hard about what sort of sports activity that I wanted to do. My choices quickly narrowed down to martial arts because I always had an interest. Since I had learned Judo before at a community center I knew, I did not want to have instructors who were "part timers" and/or emphasized competitions. I feel too old to be trying to win trophies and medals and learning to do high spinning kicks. Of all Chinese fighting arts, I heard of Wing Tsun and Tai Chi the most. Actually, I had a few lessons in Tai Chi before when I was a student in China. I easily chose Wing Tsun because it would be useful to know how to defend oneself and it was supposedly the simplest of all Chinese fighting styles (and most nasty Kung Fu according to some people). I was very happy to find your school on the web because I have a dislike for traditional Chinese schools. So, far I have not regretted my choice! At this point in time, I certainly do not yet feel "confident" enough about my skills. I do not mean to suggest that your instruction has been poor; rather, I feel it is foolish for anyone to assume that skills could be mastered so soon. I've only been with the school for 8 months. However, I do feel somewhat frustrated sometimes when practicing/learning new techniques because the movements are easy, yet seem so "complex". But I remind myself that nothing comes easy. If it does, then it is "too good to be true" (like a lot of things /situations in life). So this frustration does not deter me from continuing with my study of Wing Tsun. One of my workout partners and me had a discussion not long ago, and we both agreed we intend to keep learning Wing Tsun as far as we can go. In retrospect, I certainly feel that you have progressively challenged all of us. During the last testing seminar, it dawned on me that you had already "tested" us during a rigorous workout about two weeks before that day. Honestly, after my first three months of class, I did not yet see how everything taught to us and the order in which it was taught built up into the "big picture". It was only around the sixth month that had passed did I begin to see how the pieces fall into place. I see now why Wing Tsun does not teach the wooden dummy form and the Biu-Tze form until later, unlike the other Wing Chun styles. I find it has also been quite helpful to talk to other students, who have been most helpful in pointing out/ explaining details to me, that I did not understand /misunderstood weeks and months ago. I actually feel/notice improvements when we revisit subjects that we had covered weeks/months before. I feel I can execute the moves a little better every time, as compared to my first lessons on the subject. Above comment was written more than three years ago. Now he is one of the most advanced members of our school. Persistence, Perseverance and Patience become the most important virtues. More important than speed, strength, size, weight, even more important than talent. I enjoyed the article and want to read more from you on the subject. I can relate to the line 'if it feels good, it ain't Wing Tsun'. Often in classes when doing an exercise, it may feel good initially, but after you point out my mistakes or point out specifically what I should be emphasizing (whether it be sinking deeper into my stance, or turning a little bit more) that is when it starts to feel not so good and awkward. That is usually when I realize that I should be paying more attention to minor details every time I do something, even if it appears to be simple. I remember what you were saying to me during our last private lesson about constantly being tested and I agree it is a good thing to do. However it is one of those things that sometimes requires outside motivation, sometimes from a teacher or a fellow classmate. I can somewhat relate this example to sports. In basketball or any team sport for that matter, you can run drills where there are no defenders and everything works out fine. Your team does what they are supposed to do; everything is functioning on all cylinders. But after you add the defense into the picture, even in a controlled ‘practice’ environment things start to mess up. Even if you get used to your teammates defense, you usually cannot replicate how your future opponents are going to react to your team. Just like in most martial arts schools, it works in practice but you usually cannot guarantee the same results in a competition fight, let along a real life scenario on the street. I guess an analogy I might use is if you were on a constantly losing team. You lose the ‘real life fight’, but in practice everything works out just fine. I guess the only thing to do would be to continue to get better as individuals and as a team. I usually get frustrated when I can’t do a certain type of movement in the required way, so I get hit. Its frustrating not being able to do something about it when you mentally know what to do, it’s just that your body cannot do it yet. I am still frustrated at times with Chi-Sau, not being able to hit, being hit, but sometimes it helps to just work by myself. Similar to the sports analogy, if constantly losing frustrates me, I can workout on my skills on my own without the team and competition atmosphere. So working on Wing Tsun skills at home usually makes me feel better if I get frustrated in class. Today now a few comments I have received in regard to yesterday's article "Is Wing Tsun really that frustrating? Why does any progress appear to be so slow?" Your comments in the article “Wing Tsun Frustration” reminded me of my experience with karate and self-defense. One of the instructors – a highly-ranked black belt in the Goju Ryu style offered some self-defense classes to students in addition to the regular classes he taught. Now, that experience was truly frustrating! We spent the first couple of lessons learning – as a slow learner, I never did get it – to immobilize our attacker by pulling his thumb backwards or some such thing. It occurs to me now that while I was busy contemplating my attacker’s thumb – he had all the time in the world to employ his other weapons of destruction. I liked the fitness aspects of karate, but even that had its limitations. With Karate, I recall getting sprains and muscle pulls whereas with Wing Tsun, my body seems to gain flexibility and strength without the damage. Trust me, one day your body will thank you for doing Wing Tsun Kung Fu! Interesting, too, that the same virtues you say it takes to advance are the same that one needs in every other aspect of life whether career, or relationships. One can never rest on one’s laurels for long – everything changes inevitably, and the only way to survive, and thrive is by staying in the game; with focus, commitment, perseverance and determination. I actually find that the most appealing aspect of this self defense system – it is never boring, it is always challenging – there is always something new to learn. I read your article entitled "Wing Tsun Frustration" and found it very clear and to the point. One of the things I enjoy the most about the class is there is no attempt to make it a "quick fix" like our culture has become so accustomed to. I read the article, it was very well written and does address some of the issues that I encounter when training both at classes and outside. Sometimes it seems a little bit frustrating, especially when other martial arts seem to progress "faster" because they learn more techniques or ‘moves’. However, training in Wing Tsun with the more senior students and assistant instructors help me keep focused on my goal with Wing Tsun, which is to train it to a level in which I am confident of my abilities. It is a little bit disheartening at first when I try the techniques that I've trained for months and years on the senior disciples, because of course, they don't work; working with the more junior members however shows me that my basics are a lot better than they used to be, and that even though I still have a LOT to learn, I have come a long way from when I was back in Student Grade 1. It is also a great motivating factor to see all of the disciples who are better than me being willing and able to help me in my progress with Wing Tsun, and also with your help Si-Fu, it is very inspiring. Without the close network of supportive senior students who are all focused on Wing Tsun as we have in our school, I don't think I would have stuck with it for so long. Like I said, it is a little bit demoralizing in the beginning, and there are times where I get lazy and/or don't feel like coming to class, but when I do, I feel like I've done something productive. One of the common occurrences we all experience throughout our Wing Tsun career is frustration over what seems to be incredibly slow progress. Is this actually the case, is it more difficult to learn Wing Tsun than other martial arts, or is there another explanation? Well, to compare it; many martial arts schools sell, instead of memberships, seemingly prestigious black belts with slogans like: “Get your black belt in one year”. Many advertise with teaching you literally hundreds or even thousands of techniques, to be ready for just about any scenario. Or so they make you think. What about competition sports? Martial arts competitors usually have enough time to get into shape, often they know their opponents, have studied their behaviour on video, and prepare special fight plans. Even the so-called no-rules fights assure that no third parties get involved, that no weapons are used, what type of clothing or shoes are worn, they guarantee that the fight area is limited and clean, providing special flooring or mats, that quite a set of rules is being enforced by a referee. Above points and more, like weight, age, experience, and intent of actions, the element of surprise, mind games and intimidation tactics of the aggressor - nothing is on your side in a real-life scenario. But one step back to typical martial arts training. I hear it quite often, that students talk about the empowerment, the good feeling, the joy of achievement when training other martial arts. Why is that so? Is Wing Tsun that different? Quite a few martial art schools practice pre-arranged partner exercises, where you can’t fail. Many don’t even allow any contact whatsoever. Sometimes you are not even allowed to talk to each other during exercises. On the downside this builds up the inability to deal with violence, ending up being incapable of hurting the aggressor, and teaches unrealistic technique pattern, impossible to apply under unknown conditions. In the martial arts school it works. Isn’t that great, limited exercises routines, no physical contact, no talking, what can go wrong? Nothing, that’s why it feels so good. You have the feeling of getting better and better. Nothing spoils your progress. Unfortunately, this is a very dangerous assumption. Without wanting to paint the picture too black; Reality strikes often with horrible violence. Fighting for your life is not a sport! Again, what is so different about Wing Tsun? For one, especially in Wing Tsun we experience that talent and skill take you only so far. Over the years one finds out that it takes four virtues to truly advance. Every hardworking student begins to understand how focus, commitment, perseverance and determination drive you to excel. The Wing Tsun instructor has the difficult task to take on the persona of different assailants, to pose as the attacker according to the progressive Wing Tsun programs and to point out every mistake, to expose every gap, to raise awareness of every conceivable scenario the real life attack might put you through. It is the job, the responsibility of a dependable Wing Tsun instructor to support your progress by continuously pointing out your weak spots. This is (most of the times) not fun. In Wing Tsun we all learn to prepare for a completely different type of circumstances, for real life, Period. That is the reason why we never stand still; never let you rest on skills you have achieved, why we push you to new levels of stress training, eventually enabling you to make rational decisions within fractions of seconds. This is how you learn to act under heavy pressure in a high risk situation. One of my instructors, a former professional boxer, rounded it up: “If it feels good, it ain’t Wing Tsun”. A responsible Wing Tsun instructor drives you to the point of exhaustion at the end of a lesson without neglecting the technical training, without forgetting the fine-tuning. You fight as you train. That is why every progress is yet again improved through putting more stress on you, by exposing you to a higher level of difficulties. In return if may feel like a standstill, because you are still being corrected. Everyone with enough patience will eventually discover their enormous progress, especially when working with beginners in class, who will complement you on your skills, who will look up to what you have achieved already. Look at it the other way. If your Wing Tsun instructor, even after years, can still turn up the heat, lead you into new high-pressure scenarios, makes you sweat, leaves you tired at the end of a session, it means that he is good enough to teach you for years to come. Otherwise you might possibly be wasting time and money. In conclusion, how we train Wing Tsun and how the progress is measured cannot be compared to the typical workout in most martial arts schools. Believe me. One develops over time an appreciation for this unique training, to be fit for survival in life. Let’s add one more in our search of analogies for Wing Tsun’s whiplash-like force, fluid and wave-like power, previously explained through old concepts as the "seven joints" or "nine pearls". Now, another visual analogy would be seeing your body as a coiled spring. Each coil would be represented by one of the body's major joints. A rising step/punch would be the action where the spring extends; a falling step would be the pulling back action. In Wing Tsun Kung Fu we lift our head up, while trying to point our tailbone downwards. This is similar to Tai Chi's concept of "lift the spirit, flow the chi heavenwards". Doing this action tends to stretch the spine so that the vertebrae are separated as far as possible (good for preventing back pain) and this 'flattens' the lower back. A flat lower back gives the body a much better mechanical advantage in using the hip flexors. These muscles are extremely strong, possibly as strong as either quadriceps (thighs) or lats, and often under-used by martial art practitioners. This extra leverage and range of movement are shown in the following. Stand straight and turn your torso, many people can turn almost 90 degrees and the move seems smooth and easy. Now bend forwards from your waist so your torso is at about a 45 degree angle. Try turning form this position and you will see that you cannot turn as far, and that the action is not as easy. As far as mechanical advantage, imagine a football lineman bent forwards like this, and he puts out an arm to grab the opponent running by. Stress in this case typically goes through the body, but the weak points are the shoulder, lower back and knees. The joints are not weak per se, but since he is not facing and square and level to the target, there is a far greater shear factor on the joints. The muscles may not be able to hold these extended positions, and injury may occur. In Wing Tsun terms, this misalignment does not allow as much energy transfer i.e. power for hitting. Also if your back is straight, this allows the stomach, intercostal muscles between the ribs, and chest more room to expand and move, and be involved in adding power to the action (rising punch). Or the opposite, to compress during a falling step/punch. Your imagination is an incredible tool and can help you shape the success of your training. Without going further into the part of sports psychology in connection with visualization, we simply want to state that old sayings, poetic martial arts terminology at times just has to be unlocked, to produce great training results. Next week. Join us for a multiple-part series under the title: "When does Self-Defense start? or The very first line of Defense!" Here a few ideas in regard to the rising step with punch. 1. The ankle joint which is stretched open during the step, closes to a smaller angle as the knee (and upper body) moves forwards over it. 2. The knees straighten somewhat, propelling the upper body forwards and upwards. 3. The hips drive in and up, moving the torso into the target. 4. The torso expands as the ribs separate, and the main bends of the spine straighten upwards. 5. The relaxed and rounded back allows the shoulders to move in and extend forward. 6. The previously low (protecting) elbow straightens while advancing, eventually lengthening the arm when hitting the target. 7. The wrist moves forwards, transferring power to the knuckles of the hand which in turn strike the target. Test it yourself. If you keep your elbow low and put your upright fist solid against a wall, you should feel a linkage back to the sole of the foot. While in this position do an isometric exercise. Slightly increase the pressure, joint by joint, starting at the ankle and moving up. The muscle work should feel even or smooth throughout the different body parts. You should feel a bracing or linkage from the ground to the fist. More experienced students may be able to add a feeling of a spiral (or torquing) motion to the push or power-flow through the body. The resultant power at the hand is magnified by each increment of movement through the "seven joints" (or "nine pearls"). Wing Tsun Kung Fu’s 'wave' punch. Generating power in your punch involves many areas of practise. 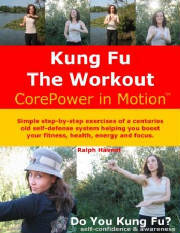 Here we want to focus upon the 'feel' of the move by analogy and by specifics in regard to the physical power sources. Visualising in slow motion snapping a wet towel, or a bullwhip, we could see that each part of the flexible material consecutively bows out and then straightens up. Wing Tsun Kung Fu's rising and falling steps might be seen as the hinges of a step ladder. When you snap open the ladder this hinge snaps into a locked position. It is a smooth, yet powerful whip feeling to the motion. If we try to feel this in all the joints of the body, in a flow from the foot to the fist, this creates a wave like motion. To understand the many joint concepts: think of throwing a baseball. First imagine just using your wrist and no other movement. Next, add in some elbow action, this should increase your distance covered and the speed of the ball. Shoulder action is next; rotation of the shoulder makes a huge difference in the resulting action. Velocity and distance are noticeably increased, i.e. there is more power. Waist/hip rotation should add to the result. Knee action straightens the legs, resulting in a push forwards. Ankle bend should move all the body above this area towards the target. An extreme version of this is seen in an actual step. Consider running towards the target, this will add more speed, power, and distance. If you were running along the top of a moving surface, say standing on top of a moving train, this would add even more to the equation. Each joint in the body is adding to the end speed and power. There is usually a specific sequence of which muscles move which joints and when. Keeping upright, square, and relaxed allows for an easier and more complete movement. Starting today enjoy reading a few thoughts by Gary Kaiser. Click here to read bios of the members of our trainer team. Many older martial art teaching methods talk in a very poetic fashion about skills like 'wave power'. Terminology like the 'nine pearls' or the 'three springs' is used. Often these relatively vague descriptions lead to misinterpretations, and lead to claims of magical powers, energies, and other unverified claims. But the masters of old were extremely realism orientated. So what does this kind of talk actually mean, if anything??? How can we modern students of Wing Tsun Kung Fu translate this to useful training concepts? The nine pearls is a metaphor for using the major joints of the body in an efficient method to generate power, bracing, and flow. It refers to the shoulder, elbow and wrist joints of the arm (first spring), the 3 curves or bows of the spine (second spring), and the ankle, knee, and hip joints of the leg (third spring). The waist or belly area usually works in conjunction with the horizontal rotation of the hips. In explanations of power development within the Wing Tsun Kung Fu system you can also hear the term ‘power of the three joints’. It is used in reference to the shoulder, elbow and wrist connection, or also indicates the hip, knee and ankle chain of power. Furthermore you may have come across the ‘power of the seven joints’, which especially in British Columbia should not be misunderstood. The ‘power of the seven joints’ is a term which can give us a visualization of how muscles, ligaments, tendons throughout the body create a wave-like power flow from ankle, knee, hip, spine, shoulder, elbow and wrist. ... to be continued tomorrow! Blog Archives - Choose your topic! Setting foot for the first time into a martial arts school? Tough time, trying to make it back to classes after a break? Tips and lessons learned from Grumpy George and others! Lightning fast, the secrets of Kung Fu! What did Carl Douglas and George Harrison have in common? Are you a “dream ranger”? Or do you at times submit to the dark side? I have been bad, very bad ... the secret life of a martial arts instructor. More than 28 tips on how to be a better (Wing Tsun Kung Fu) trainer! Is there anything a trainer can’t do? Breaks, motivation and different goals. Martial arts are no different than life. Three ways to improve your martial arts (Wing Tsun Kung Fu) training and two examples to learn from! How to have a punch like a flimsy noodle! To Kung Fu or not Kung Fu! - Should I train with injuries? SifuMania – or who or what is a Kung Fu Sifu anyway? How much art is in your martial art? Ramblings about martial ART, seminar feedback, exercise variety, Wing Tsun Chi-Sau, teaching skills and learning methods. How much fitness and prior martial arts skills are needed to learn Wing Tsun Kung Fu? Alfred's story or the 3 P.'s - Martial arts training, a way of life. Is experience overrated? 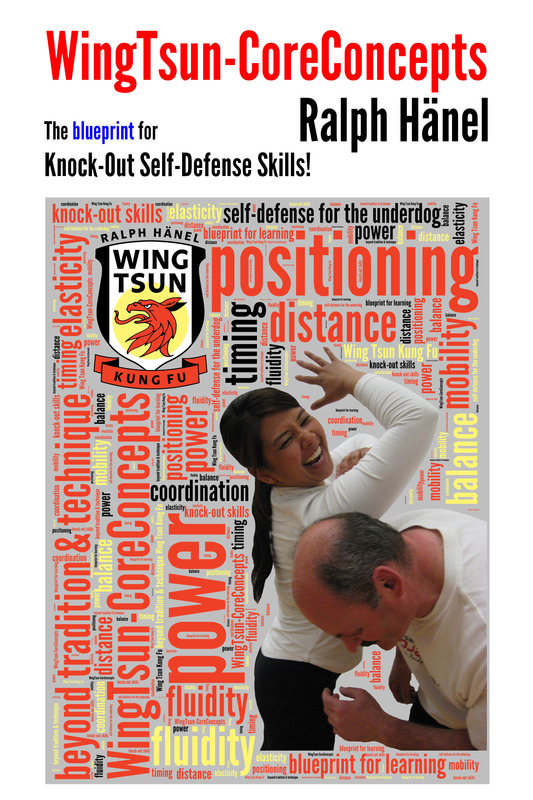 What does a Wing Tsun trainer do? Motivation, Music & Kung Fu? And a great Wing Tsun school in Calgary! Wing Tsun Kung Fu seminar impressions - Exercises in adaptation. Benefit your employees! Lunch break self-defense seminars, a great motivational tool. What offers me more value, joining group classes or taking private lessons? When does it end? The art of Wing Tsun. Let there be pain! Well, how much? How real? Seminar feedback, How to bring Chi-Sau to life! Fred Astaire and Wing Tsun? Which is the right Wing Chun? (3-part mini series) Go to part 1, 2 & 3. A lot of times I have been asked about what gives a better value, taking group or private classes. Of course one should first evaluate one's motivation, is it a mere hobby, or is the goal the exploration of the art of Wing Tsun Kung Fu? Most people start out with a focus on attaining the ability to defend themselves. Very soon the at times sobering reality sets in, that there is much more to acquiring self-defense skills than a set of techniques or even worse, the notion of “tricks”. Private classes focus very much on the specific personal situation, the training needs of the student. It's a chance to work on details and get the undivided attention of the instructor. A continuous one-on-one work can lift you up to initially unimaginable levels of skill. It is also very challenging, don’t take this lightly, working on improving yourself session after session is very rewarding but also a tough task. Yet group classes provide the necessary training time and helpful encounters with different students and their personalities. Here, in a friendly scenario, you might face already the problems of successfully communicating with your training partner. Asking your training partner for moderation, help with the exercise, can prove more challenging that it may seem at first. This topic will be discussed in detail in the upcoming multiple-part series under the title: "When does Self-Defense start? or The very first line of Defense!" Learning WingTsun Kung Fu is about gaining self-confidence, dealing with unpleasant situations, facing reality. Self-Defense abilities for the real world. That is why a balanced mix of attending group classes as well as taking private lessons is the recommended solution. And let’s not forget about your home training, even if it's just minutes a day!